Want a dressing so fresh and bursting with Parmesan cheese that your lettuce will beg to be eaten everyday?!? Here it is. You add mayo, oil and vinegar and whisk in our mix. We source our 100% natural aged Parmesan from one of the finest cheesemonger companies in Wisconsin. 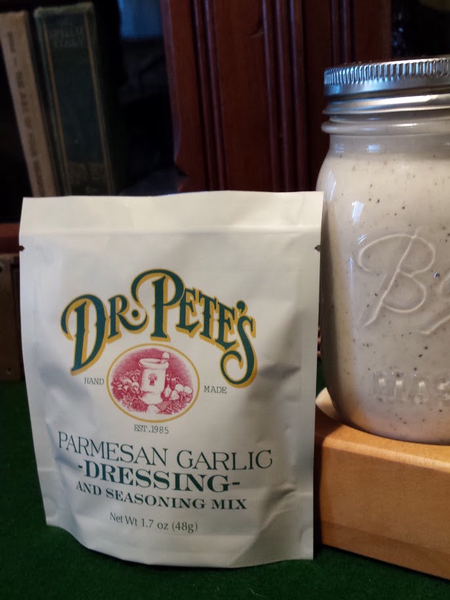 We add a special blend of other herbs and spices to make this your forever go to salad dressing. Need a dip for a party, just add 1 cup sour cream and 2 TBL mayonnaise to the seasoning packet and the party will be one for the record books!!! All natural and preservative free. Makes about 16 oz. of dressing or 1 1/2 cups of the dip.